Experimental electro-acoustic composer, Samantha Bouquin, has created a working masterpiece in progress with her latest release, Contemplations on Solitude and Strings. The world-renowned Bouquin is not only a lifetime musician but is highly respected for her creative experimentations of sound, which centers on preparing stringed instruments to produce unbridled harmonies. 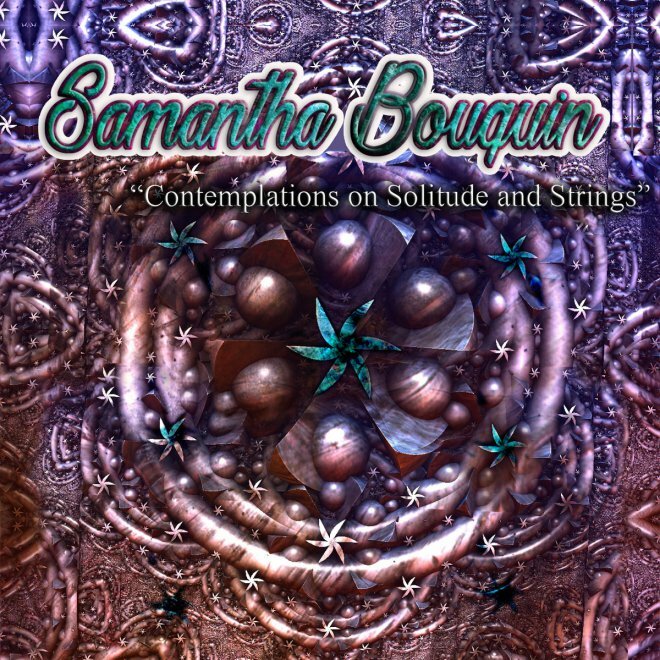 Contemplations on Solitude and Strings is an exceptional display of Samantha Bouquin’s musical genius, which she so eloquently paints in the minds of her fans and music lovers alike. The EP is very cinematic. Consisting of three tracks, Contemplations on Solitude and Strings avoids repetitive moods and landscapes, which often appear in many works of the same genre. Instead, we find a delightfully sophisticated work that draws the listener into an etheric world composed by Bouquin. The second track, Contemplation #2, proves to be a worthy continuation of the project’s meditative theme. It is a chilling composition that demands our full attention in silence. Somewhat touching in its approach, Bouquin demonstrates her unique ability to produce a multiplex of emotional scenes in a single work. Contemplation #3 is a brilliant haunting conclusion to what proves to be a perfect expression of Samantha Bouquin’s ingenuity. In a glimpse of the eye, this track captures the reflection cast by the human race’s stare into a dark mirror. Contemplations on Solitude and Strings is a boast of perfection fulfilling its claim. Published by Mythical Records, the craftsmanship of Samantha Bouquin’s work, as witnessed in this unique EP, has set a precedent in contemporary classical music that we pray for others to follow. Bravo! You can purchase Contemplations on Solitude and Strings here. More information about Samantha Bouquin’s latest release and other updates can be found on her Facebook Page, Twitter, and personal Homepage. A Lesson Millennials Can Learn From Usher’s Sexual Prowess: Is Big & Beautiful Really Beautiful?